The India Organic Textile Opportunities Guide provides unique insights and market intelligence on business opportunities in the Indian organic textile sector. Consumers around the world are interested in buying organic apparels, fabrics, and other related products sans pesticide residue. India, being the largest producer of organic cotton, offers tremendous scope for organic textiles production and exports to countries across the globe. The bulk of organic fibers and textiles produced in India are being consumed by prestigious companies in Europe and the US. 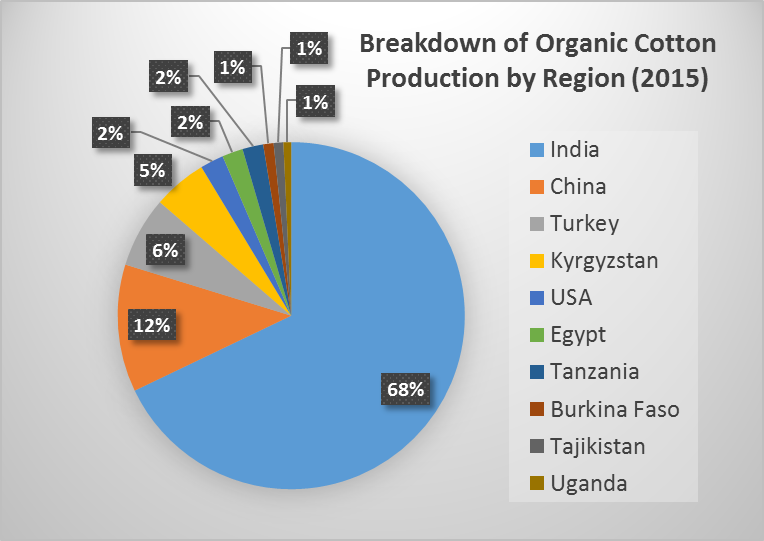 Nineteen countries worldwide produced organic cotton in 2015-16 producing 116,974 metric tons (MT), with the top five producing countries accounting for 96% of total production. India alone produced 74%, followed by, China, Turkey, Kyrgyzstan, and the U.S.
No genetically modified organisms (GMO) seeds are used. Certain insects, biological and cultural practices are used to control pests. Soil remain strong through crop rotations. Since no pesticides or fertilizers are used, farmers are a lot healthier. Controls weed through physical removal rather than chemical destruction. Despite being a niche market, the market for organic textiles is witnessing significant growth in India. EAI has witnessed this growth trend in organic clothing (made from non-allergic, eco-friendly and durable organic cotton) segment for children. This trend can be attributed to the growing awareness of people towards environment and health issues. The global organic clothing industry represents just approximately 1% of global consumption. Out of this, India alone accounts for 74% of the production. 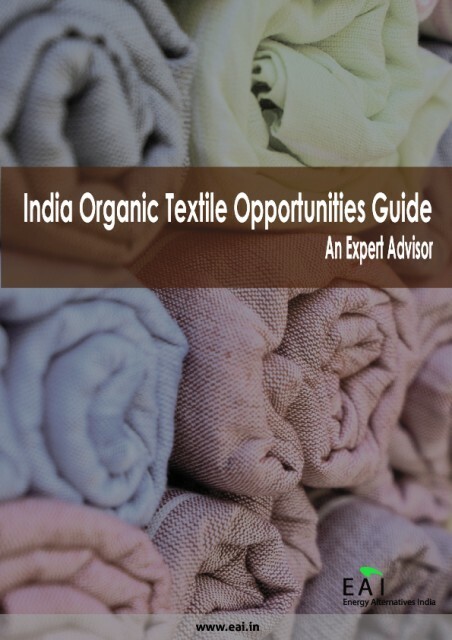 The India Organic Textile Opportunities Guide is an expert guide that explores the business opportunities in the Indian organic textile industry. It provides key insights and critical data points that may assist the reader interested in venturing into this domain. Who should purchase this expert guide? Entrepreneurs and existing businesses looking to venture into sustainable domains. Why should you purchase this guide? Comprises intelligence and inputs derived from EAI’s interactions with various stakeholders in the textile business community – farmers, textile businesses, consultants, etc. 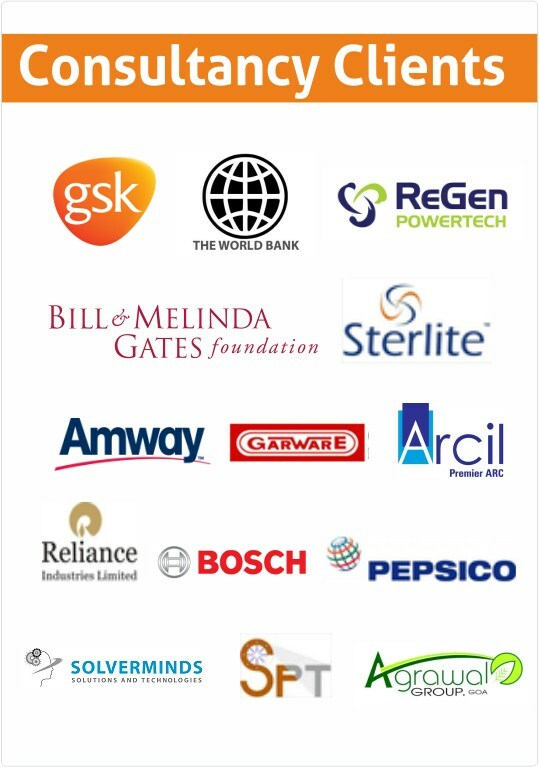 EAI (Energy Alternatives India) is India’s leading renewable energy research, consulting, and catalysis firm. 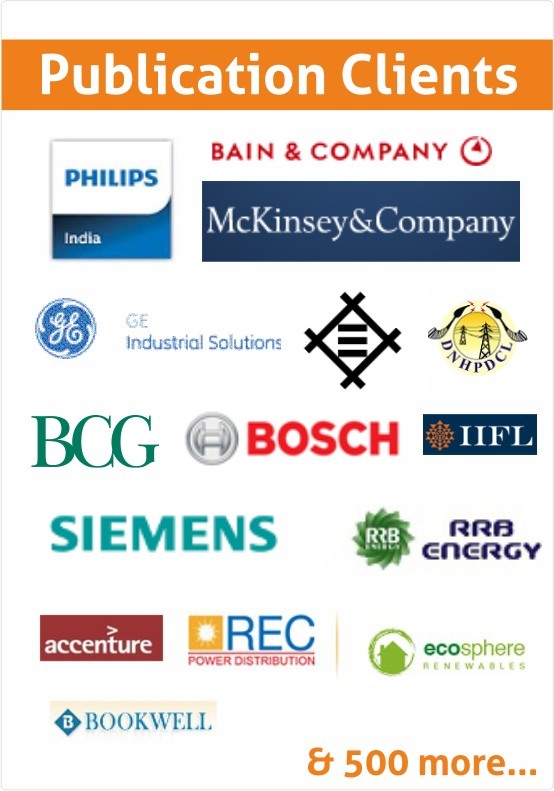 EAI runs India’s largest renewable energy website (Eai.in), the country’s largest renewable energy newsletter (EAI Daily) and India’s largest renewable energy community (EAI Club).